Our journey began with our departure from the RGA offices in New York. We flew to New Orleans, and arrived just in time to see the final moments of Mardi Gras. We departed early the next morning with a team of ten guys, a bunch of gear and several pristine Hammerhead prototypes crammed into a 12 seater van. We rolled through the swamps of Louisiana covered in their Spanish moss, and then finally into the crisp dry Texas spring air, auspiciously arriving on what turned out to be the eve of the 164thanniversary of the Battle of the Alamo. With all of our stops we turned an eight-hour drive into a twelve-hour adventure – it was one for the ages! Austin is awesome, and we couldn’t be more thrilled to be here the great state of Texas, ready to make some history ourselves with the world’s first effective bicycle navigation solution. All the 9 RGA/Techstars teams are staying in one hotel and the anticipation and excitement for the days ahead is palpable. Piet and Jon will be extremely busy and will spend the next two days leading up to Saturday’s Demo Day tuning up the final version of our pitch and practicing to deliver it perfectly, while the rest of the team takes a few free moments to explore Austin. We will be sure to share our adventures here with you as they continue to unfold. After three weeks of 16 hour days, countless homemade curries, and a seemingly infinite number of new things we have to worry about, the holiday break @ R/GA Techstars is finally upon us. If you haven’t yet, check out our update video – http://www.youtube.com/watch?v=u7AZDJW2HZc. For the next two weeks, our team will be scattered to the four winds. Piet and Laurence, to South Africa. Jon, to Massachusetts. And Raveen – well, Raveen is going to keep working at the office here in NYC. It is this dedication that earned him the moniker ‘The Jewel of Chennai’ – a name that only hints at the grandeur of his presence. This week, we made critical additions to our team – Tyler, who is taking the lead on a redesign of our site, and Julio, who is working with Laurence on product/industrial design. It is so exciting to be adding to our ranks – both for us and for the company. Also happening this week: significant steps forward in Hammerhead testing; several meetings regarding manufacturing; and our first taste of the direct assistance of the R/GA staff. 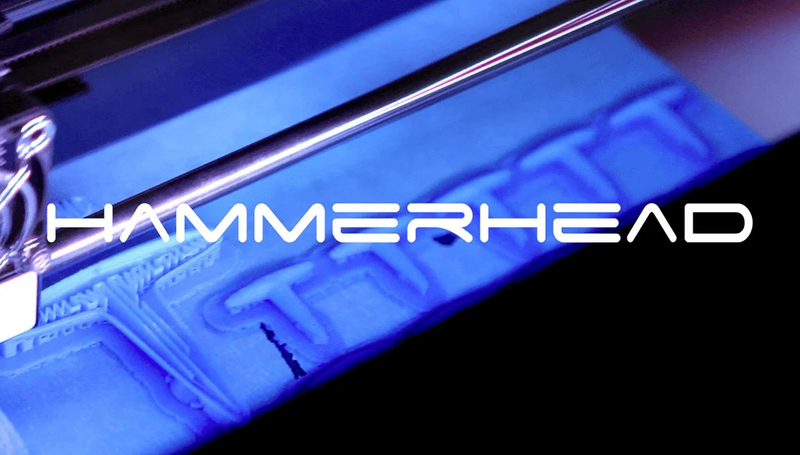 The Hammerhead, both as a device and as a brand, is going to benefit tremendously from the resources we have here. We’ve been saying this for weeks, but to see it in action is just awesome. Thanks to all of you for your support – and specifically to those of you who have reached out with comments, advice, and well-wishes.